Ramona Higley, a three time cancer survivor, and her dog Maxi were at the Infusion Center recieving treatment when the Gold Rush Subaru team arrived to distribute the blankets. The patients at Sutter Auburn Faith Hospital’s Infusion Center were in for a wonderful surprise when community partners Gold Rush Subaru and the Leukemia & Lymphoma Society stopped by to deliver hundreds of messages of hope and 80 new blankets as part of the Subaru Loves to Care campaign, according to a release. Subaru has donated more than 105,000 blankets nationwide to spread warmth and hope to those fighting cancer across the country. Along with blankets, messages of encouragement were delivered to each person handwritten by Subaru’s employees and customers. Reed is an Auburn resident who was diagnosed with cancer in October. 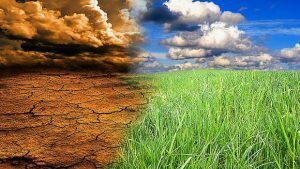 His treatments at the Infusion Center take five to six hours each session and often make him feel cold and tired. 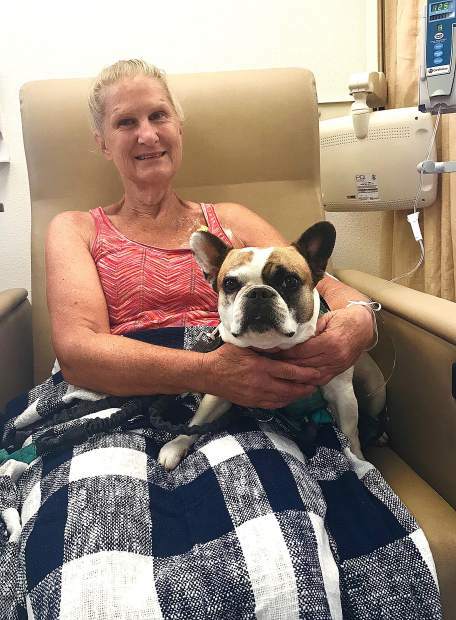 Ramona Higley, a three time cancer survivor, was also at the Infusion Center receiving a vitamin treatment with her dog, Maxi, when the Gold Rush Subaru team arrived to distribute the blankets. In addition to the donation at Sutter Auburn Faith Hospital, Subaru and the Leukemia & Lymphoma Society have visited more than 10 facilities in the region this month distributing cards and blankets including Sutter Health facilities in Roseville and Modesto. Wrapped in her new blanket, Higley and her dog snuggle up for a nap in her reclining infusion chair. For more information about the Subaru Loves to Care campaign, visit subaru.com/loves-to-care.